Have you ever tried to hold a conference call with your phone laying on the table? It's generally unpleasant. Some people can't be heard or sound far away, the sound quality is bad, and depending on the phone, it can be hard to hear the people on the other end, too. You could buy a specialized microphone, but those make for pretty narrowly targeted products. Why not get a gadget that doesn't just knock voice calling features out of the park, but makes for a top notch portable speaker, too? Even better, we're giving away two of them! That's what you get with the Jabra Speak 710. If you want an elegant and high quality portable speaker to blast music (or, you know, play it at a moderate volume), you won't do much better. And when it comes time to call somebody, you'll have a surprisingly well-equipped microphone built in. Or you might see it the other way—you're making calls all the time, but every now and then you'd like to play some tunes or listen to a podcast (how about ours?). Oh and did I mention that you can use the Speak 710 to interface with Google Now? Just tap the smart button and you can use voice commands with Google (or Siri or Cortana, if you're into that). 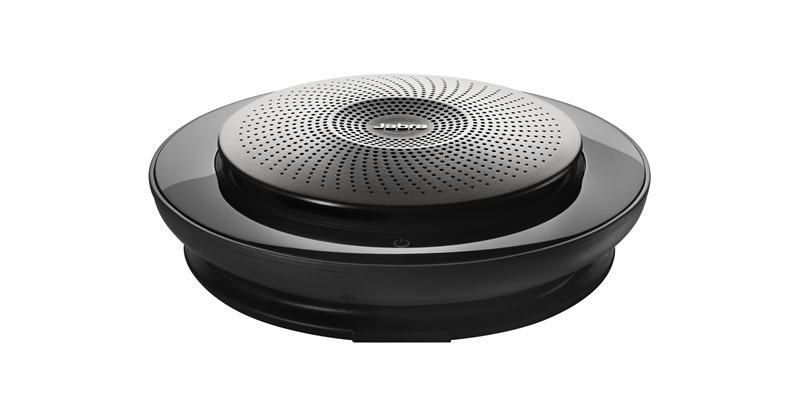 And all of this is just scratching the surface of the features—you can see everything at Jabra's website. While you normally have to pay $300 for this product, if you're lucky enough you can be one of the two winners of a free one courtesy of Jabra and Android Police. Entrants must have a US mailing address. Get going fast because the contest closes on Friday, April 28th at 11:59PM Pacific!